I want to leave a little postscript to my last post defending magical thinking. Not because people disagreed with me or accused me of idiocy – no, I was expecting that. I am writing this because I am disheartened by something else. I noticed that responses to my post fell into two camps. Magical thinkers who absolutely agreed with what I had written and critical skeptics that dismissed it as drivel. This saddens me because it confirms something that recent psychological studies suggest, that we only agree with information that confirms our preexisting beliefs. Because – it doesn’t leave much room for growth does it? So what does it mean to have an ‘open’ mind? Obviously, I was just playing the agent provocateur when I wrote that magical thinking is ‘real’. I only want us to admit the possibility exists. Which is more than the skeptics allow. 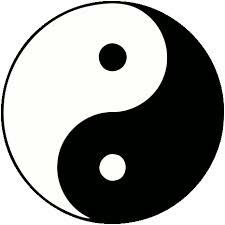 I see the skeptic/believer antagonism as a kind of yin/yang dualism, i.e. either everything is a miracle or nothing is. This duality implies we either need to make a total leap of faith – in magic, in something else out there – or the world of sticks and stones, the cold hard facts of mechanistic existence. But this dualism ignores the greater totality. Because – the glass is neither half empty or half full – it is both. To ignore this is to suffer what Fritz Capra describes in his now classic book the Turning Point, as the crisis of modern culture, our refusal to see the forest for the trees. Capra is a physicist best known for his books detailing the connection between the discoveries of quantum physics and the beliefs of ancient yogi mystics. Capra points out that Nobel prize-winning physicists such as Wolfgang Pauli, Werner Heisenberg, Erwin Schrödinger and others, drew these parallels themselves. They saw the quantum world as evidence of the merging point between the physical and interior universe, between consciousness and matter. By continuing to label the mind/matter connection as pseudo science and magical thinking (as the recent Tedx brouhaha bears out) are we in the grip of an ontological ‘perceptual crisis’? A state of denial that Capra compares to a cognitive disorder often cited by skeptics, ‘true believers syndrome’ – the psychological inability to face facts? Because it comes down to this. Whether we choose to believe in one description of reality or another – both are necessary for a true description of the greater whole. Yin and Yang are ultimately one. That’s why I go forward with this motto: Credo ut intellegam, I commit myself in order that I may understand. 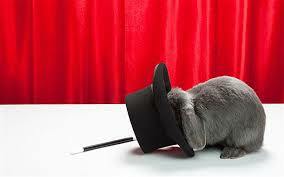 I attempt, as the White Queen exhorts Alice in Wonderland, to believe several impossible things before lunch. Where will it all lead, I haven’t a clue. However, that’s what this blog intends to find out. Today’s science is yesterday’s Magic! We need to keep believing, keep trying things and keep asking questions. Just think a few hundred years ago the concept of vaccines would have been dismissed as bizarre using like to cure like nonsense. Good follow up. I actually learned something about myself, so thanx. Believing several impossible things before lunch it is! Having read the previous article, I think the reason you are getting 2 polarized camps is partly because it is so well argued. As a magical yet skeptical thinker myself, I find the research compelling and well presented, and I did not feel the need to turn away in disgust as I do with some of the simple-minded law of attraction things I read. Thank you for your thought provoking articles, although you’ve just touched the surface with this subject. As a believer of magick ( in terms of ritual and the study of arcane magick and not the new age law of attraction stuff), the question is all in the methodology and results. If we want a quantifiable proof of magick, there has to be a fail proof formula for it. Is this where yoga comes in? Perhaps. Certainly my passion for chi Kung and yoga was fuelled by this quest to get back to the source, the primordial non-state before yin and yang or the duality of existence. In this state, anything seems possible, from physical feats, the power of healing, the calming of wild animals to wisdom and psychic abilities. Alas, my experience of this state has been infrequent and fleeting and the ‘formula’ a little random. However, I can report that after a couple of days of intensive chi Kung or a session of kundalini yoga or a combination of this with regular cranio-sacral therapy, I get glimpses of this state.